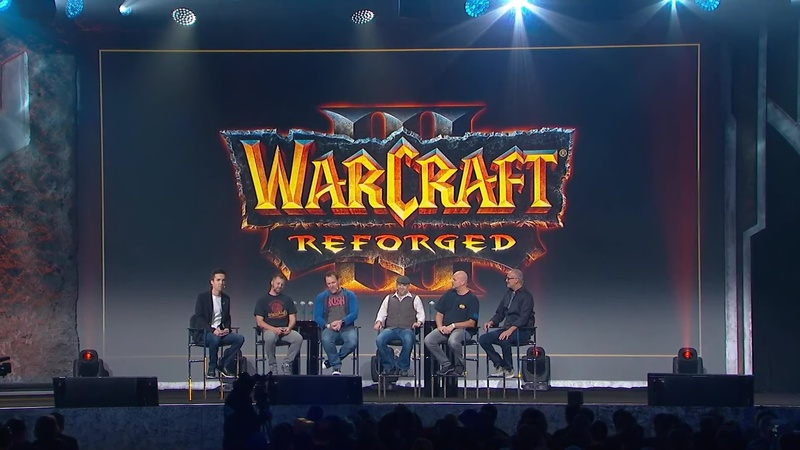 The BlizzCon 2018 Warcraft III: Reforged panel revealed details about the process of bringing the game to modern standards including 4K assets, and broadband internet speeds without affecting previous custom games created by mapmakers. 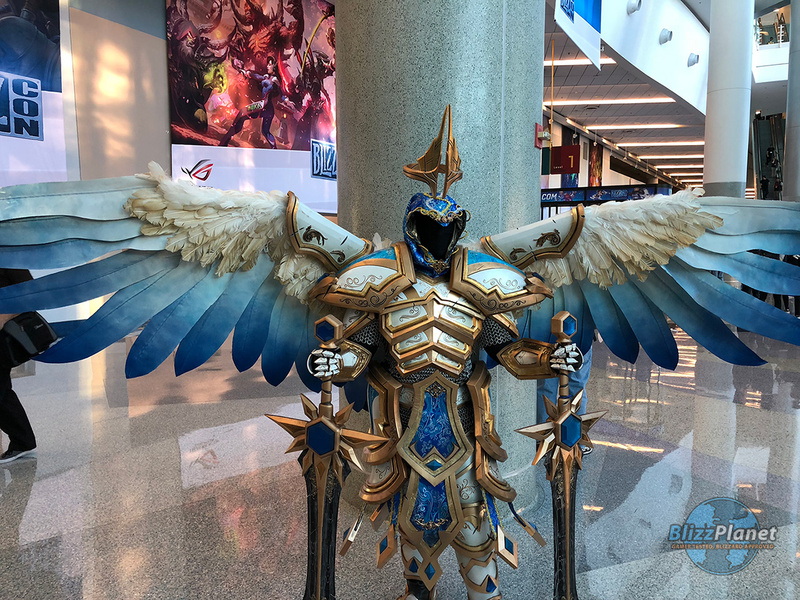 Danny took a few photos of fans showing off their BlizzCon 2018 Cosplay costumes. Some look stunningly good and elaborate and amazing. Check out that Wrecking Ball! A Night Elf D.va? Space Lord Leoric? Sakura Auriel? Diablo III male Wizard? Much more. The World of Warcraft: What’s Next panel focuses on Patch 8.1 Tides of Vengeance, and Patch 8.1.5. New model/skins for the Worgen and Goblins. Kul Tiran and Zandalari Allied Races. Micro-Holidays, Timewalking: Warlords of Draenor. Portal Rooms in Orgrimmar and Stormwind. Profession Questlines. Brawler’s Guild new bosses, Transmog sets, and mounts. Arathi Basin and Warsong Gulch have been remastered with updated graphics ( buildings, trees, etc). Patch 8.2: Rise of Azshara will introduce Nazjatar, new Story quests, new Allies, and replayable content. Azshara’s Eternal Palace (Raid) with 8 bosses, and an underwater Boss. Culminating with Queen Azshara herself as the last boss of the 8.2 Raid. In addition, a new 8-boss Mythic dungeon in Tiragarde Sound known as the Mechagon Megadungeon, the ancient lost city of the mechagnomes. Blizzplanet members Danny Perschononok and Handclaw had the opportunity to interview Robert Bridenbecker (VP of Technology and Strategy Planning) to discuss details of Warcraft III: Reforged. The interview focuses on the engine overhaul and assets, and Battle.net Launcher transition, as well as the World Editor and mapmaking’s capabilities side. Blizzard Entertainment issued a press release to announce new ways to watch the BlizzCon Virtual Ticket livestream. You can watch the event through the BlizzCon TV app for mobile devices, or on your PC via the Battle.net Launcher. IRVINE, Calif.–(BUSINESS WIRE)–Oct. 25, 2018– Blizzard Entertainment today released major details about BlizzCon® 2018, its epic celebration of gaming and community taking place next week. On Friday, November 2, and Saturday, November 3, an expected 40,000+ people, and millions more tuning in online from around the world, will come together to see what has become a spectacle of video game culture. 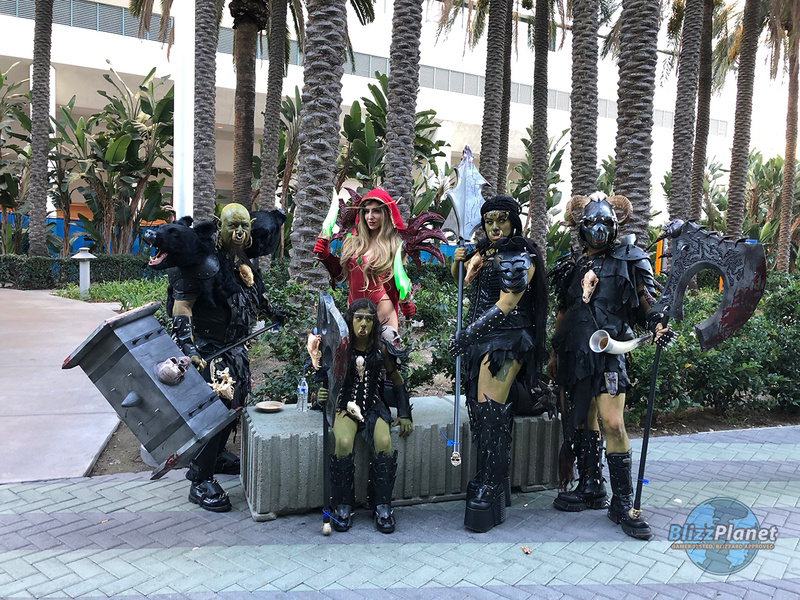 Every BlizzCon is an epic moment in Blizzard history, and this one promises to be another one to remember—from announcements at the opening ceremony to the dozens of stage events, community activities, and esports tournaments taking place across more than 1 million square feet at the Anaheim Convention Center in California. BlizzCon 2018 is sold out, with record attendance expected this year, but Blizzard wants to make sure as many people as possible from around the world can be part of the show. This year, Blizzard is adding to its slate of free livestreams, which include the show’s opening ceremony and all esports tournaments. 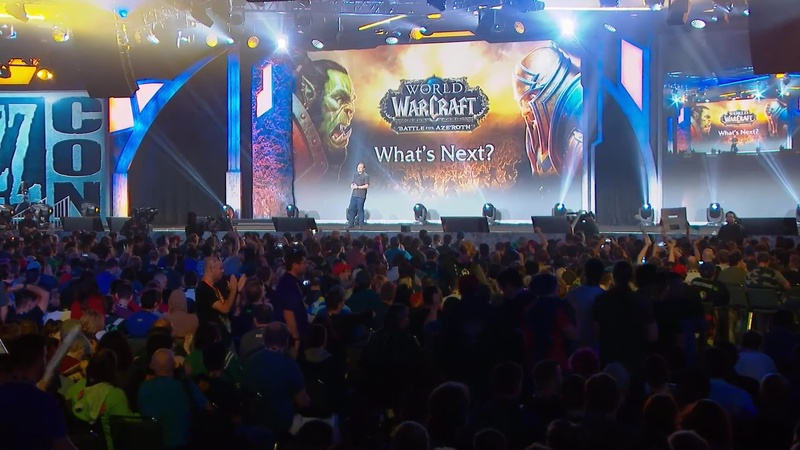 Last year, over 10 million viewers from more than 180 countries tuned in to BlizzCon. Blizzard is also enhancing the BlizzCon Virtual Ticket with more features and ways to be part of the show. The BlizzCon Virtual Ticket is a paid service providing the deepest access available to live content, with access to events from every major stage and field reports from the BlizzCon show floor. It includes the same in-game virtual item bonuses for Blizzard franchises that show attendees receive and comes with access to dozens of videos on demand (VODs) featuring original programming. As a first in Blizzard’s history, this year’s Virtual Ticket also brings home one of the demos being debuted at the show, with the World of Warcraft® Classic demo available to players around the world around the same time it goes live on the show floor. BlizzCon’s biggest news and announcements begin with the opening ceremony at 11:00 a.m. PDT on Friday, November 2. Like last year, online viewers can tune in for free to see the pre-show and opening ceremony on the BlizzCon All-Access Channel starting at 10:30 a.m. This year, there are more ways to catch BlizzCon live. Livestreams are available via BlizzCon.com and the BlizzCon mobile app for Android and iOS. For the first time, viewers can watch livestreams using the BlizzCon TV app and the Blizzard Battle.net® desktop app, and they can cast to their favorite devices using Google Chromecast, Amazon Fire TV, Apple TV, and Airplay. They can also watch in more languages than ever, with content available in English, Spanish, German, Korean, French, Chinese, Russian, and Portuguese. BlizzCon spans nearly every part of the Anaheim Convention Center (with more onsite broadcast equipment than many major league sports events). Blizzard is again featuring a multi-stage opening ceremony that will be simulcast throughout the convention center. Panels and presentations featuring developers and special guests—and plenty of memorable moments—take place both days of the show across three stages: Mythic Stage, located in Hall D, and the Epic and Legendary Stages, both located in North Hall Level 2. Community Night returns with the legendary Costume Contest, Talent Contest, Movie Contest, and Art Contest. Featuring popular VO actors Darin De Paul as host and Matthew Mercer joining the judge’s panel, Blizzard’s biggest annual community stage show starts at 7:00 p.m. PDT on Friday, November 2, and is available to online viewers via the Virtual Ticket. BlizzCon 2018 is also the site for Blizzard esports, gathering elite players from around the world to make history in the Overwatch® World Cup Finals, Hearthstone® Global Games Finals, StarCraft® II WCS Global Finals, World of Warcraft Arena World Championship Global Finals, World of Warcraft Mythic Dungeon Invitational All-Stars, and Heroes of the Storm® Global Championship Finals. Hands-on Gaming—Once the news is out at the opening ceremony, attendees can enjoy hands-on demos featuring new and just-announced content for our games and franchises. 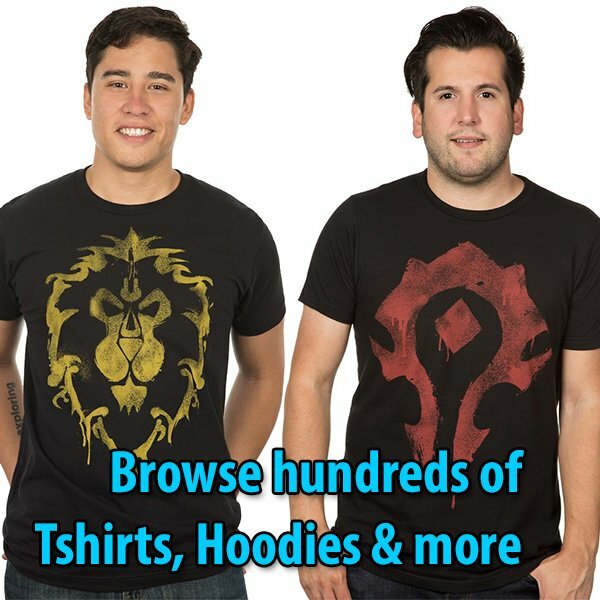 BlizzCon Gear Store—Every BlizzCon brings exclusive Blizzard gear that’s available onsite at the show and online through the Blizzard Gear Store. 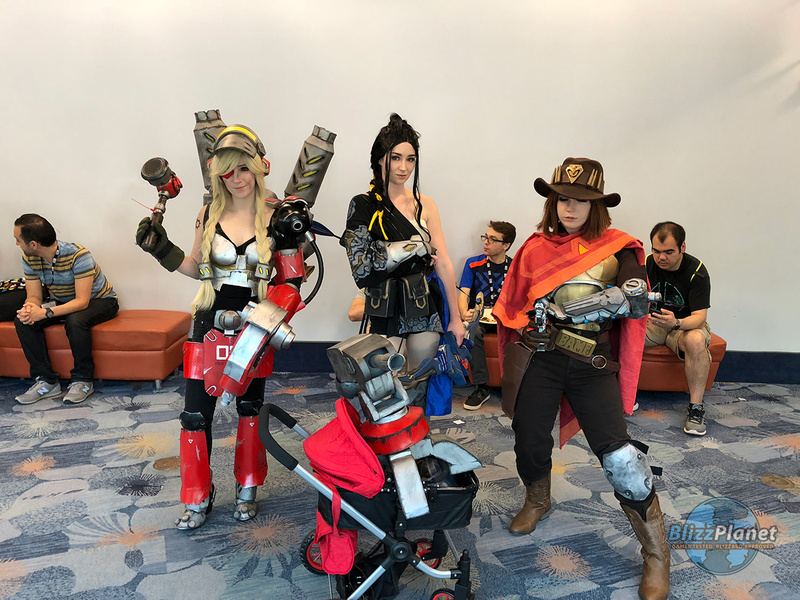 Inclusion Nexus—Blizzard’s diversity and inclusion (D&I) space returns, located on Level 2 above Hall A, featuring special activities, guest speakers and representatives from Blizzard’s Women’s Advisory Council, LGBTQ Council, and Veterans Group. CORSAIR—Check out a custom PC, test your luck for prizes at the CORSAIR Claw machine, and choose your side in the CORSAIR World of Warcraft photo booth. Facebook—Watch participating livestreams on Facebook for a chance to earn special In-Stream Rewards. Learn more: blizz.ly/BC18FBRewards. Nintendo Switch— Join the Diablo III: Eternal Collection development team live on the show floor at the Horadric Retreat, a great place to relax and run Rifts with friends. NVIDIA—Enter to win prizes including the GeForce RTX 2080 Ti, hop into a photobooth with special guests, and obtain an exclusive collectible patch. NZXT—Drop by the NZXT booth where experts can answer your questions about building gaming PCs and take a spin on the NZXT prize wheel for a chance to win a BLD gaming PC. Republic of Gamers—Enter to win amazing prizes and demo the latest hardware from ROG including the cutting-edge new ROG Phone and a variety of powerful gaming hardware. T-Mobile—Vote for the Overwatch World Cup MVP on Twitter using #TMobileMVP and your choice’s BattleTag™, take a photo with the MVP trophy, create your own custom poster at the Un-carrier Lounge, and stay connected throughout BlizzCon with complimentary Wi-Fi courtesy of T-Mobile. On the the other hand, there is as well a StarCraft II: What’s Next panel which specifically names StarCraft II — which makes you wonder why the Diablo panel wasn’t named Diablo III. This year, there is no StarCraft II Q&A panel.